The other day, the most unexpected words came out of Bill’s mouth. So unexpected, in fact, that if you ask me to list as many unlikely things he might say that I could think of, these words would not have been among them. Not even if I’d listed 10,000 things. What were the words? Kris, do we have any cake pans. Actually, that’s not really true. Those weren’t the words that surprised me. After all, this is a man who used my bread knife to cut up a sofa so he could fit it into the outdoor garbage can. He might want to know if we had cake pans so that he could dump used motor oil into them. No, it was the words that followed that took me by surprise. I am going to bake a cake and make homemade fondant icing to decorate it. Excuse me? 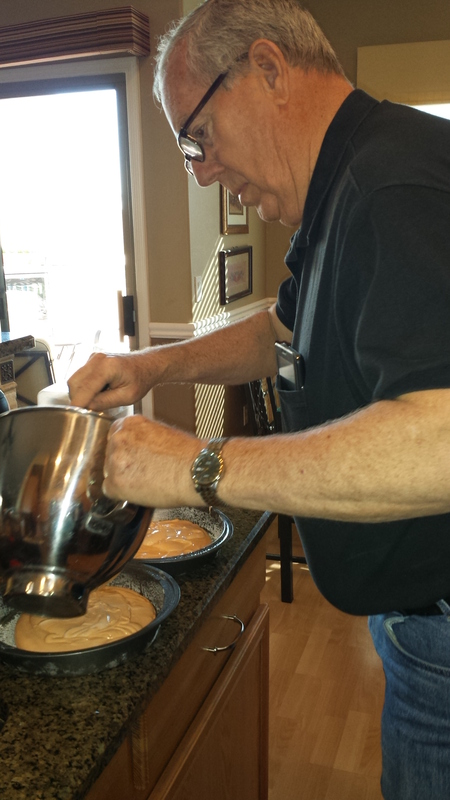 Bill McLain doesn’t make a ham sandwich much less a homemade cake. And fondant icing? Seriously? I’m a pretty decent baker and I wouldn’t dream of attempting fondant icing. It’s so, well, fondanty. Sticky. Sugary. Messy. Hard to work. I explained to him that you could buy already-made fondant icing at Michael’s or Hobby Lobby. Nope, he wanted to make it himself. As hard as I think (and I have spent an extraordinary amount of time pondering this the past few days, I can’t begin to understand what generated this idea in the man’s mind. I asked him. I want to bake Bec a birthday cake. Well, I talked him out of that because the outcome was so unpredictable. Why not make a cake for the Super Bowl, I suggested. And so his journey has begun. Super Bowl 50. Homemade-Cake-With-Fondant-By-Bill One. As the days have gone by, he has spent a lot of time on his iPad or at his computer, researching. I have stopped being surprised at the questions he asks. Out of the blue one morning: Do we have a cake flattener? How about a fondant spreader? No and no. Didn’t even know those two things existed. I have floss and an offset spatula. 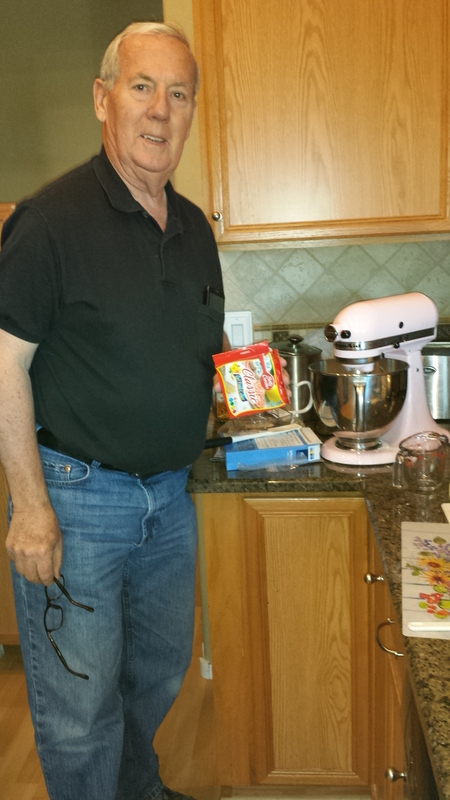 But the internet told him he needed a cake flattener and a fondant spreader, so we now own both. Anyone need to borrow a fondant spreader? 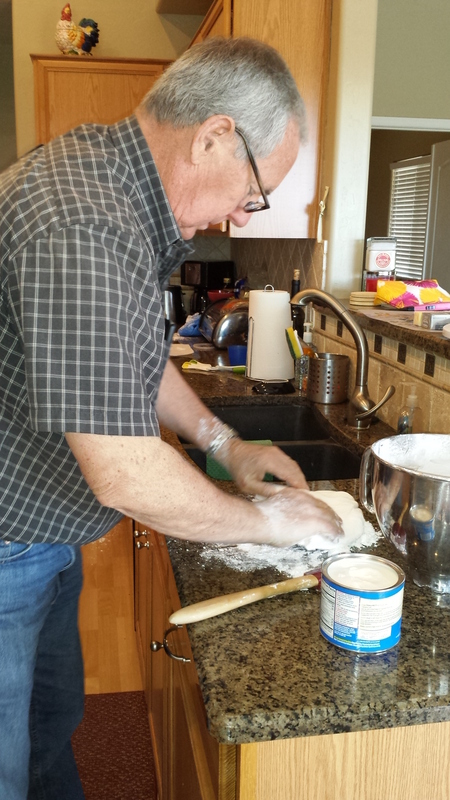 Does your Kitchenaide have a dough hook, he asked? Someone said the icing is easier to work if you use a stand mixer with a dough hook. Yes, that I have. Do we have a rolling pin? 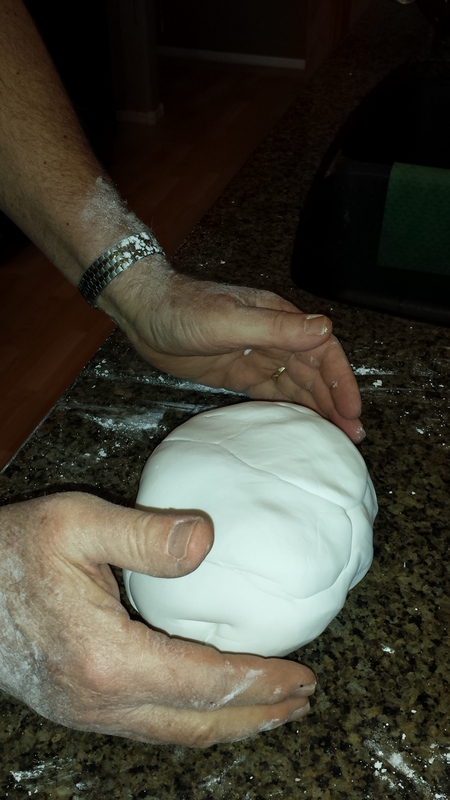 One that is completely flat so my fondant can be smooth? Nope. I have a knibble. You know, those long thin wooden ones. My dad called them knibbles. Don’t ask. 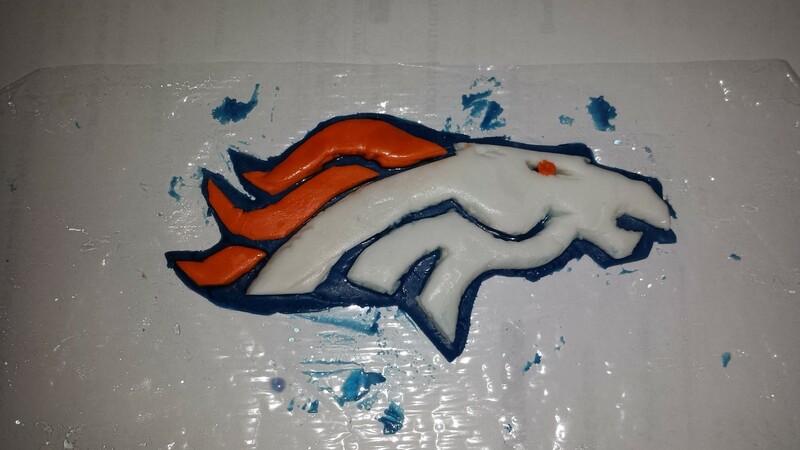 He has spent the past few days patiently creating the Broncos’ logo out of that fondant…..
Once the cake is completed, I will post pictures. In the meantime, I’m going to give Food Network a call. I’m pretty sure he can get onto Cake Wars. I would give anything to see the look on your face after he explained why he needed cake pans. Perhaps it’s time we let him begin putting in the new floor in the house. Bill with too much time on his hands is quite unpredictable! Cakes are cheaper than new floors…. I, for one, am looking forward to seeing and tasting his creation! I am so impressed. SO impressed. That Bill is a wonder! And how totally sweet to want to make Bec a cake. Y’all are some lucky ladies! My birthday gift from Bill and Kris was an apron…made by Bill! He never fails to amaze me. There is nothing, it appears, that Bill can’t do when he makes up his mind to do it. Best of all it was done for Bec this time. Who knew?? 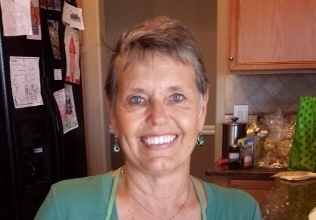 Well, you know, Bill and his sister-wives……. Few have, and it’s just as well!